Sweet Nothings Review: Is This the End of Your Sugar Cravings? 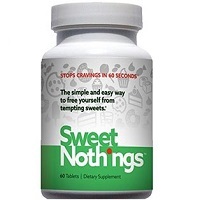 Sweet Nothings is an over the counter diet pill that claims to help people to stop their sweet tooth. In fact, the official website for this product says that the sweet tooth is turned off within sixty seconds of taking it. This, it claims, makes it easy for people who love sweets to be able to turn them down. For many people, cravings for sweet foods can be extremely powerful. When this happens enough, it can place their weight goals at risk. In fact, it may have contributed to the reason they gained weight in the first place. According to the company behind Sweet Nothings, whenever a person experiences a craving for something sweet, all they need to do is place one of the tablets on their tongue. Once they do this, the tablet’s active ingredient is supposed to bind with the tongue’s “sugar receptors”, making them unable to taste sweets for about an hour. This is meant to allow the craving enough time to pass so the user will not act upon it. In this way, Sweet Nothings is meant to support or even replace willpower when it comes to cravings. This way, weight gain won’t occur. 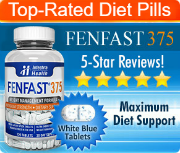 That said, this product does not produce weight loss on its own. If a user wants to lose weight, changes in diet and exercise will be necessary. This product is only meant to make that process easier if the main barrier to achieving weight goals is sugar cravings. The main active ingredient is, according to the manufacturer, a “miraculous sugar destroying herb.” It is actually an herb called Adigam. According to the product’s claims, this substance works in two ways. The first is to eliminate the sugar craving. The second is to suppress the appetite. 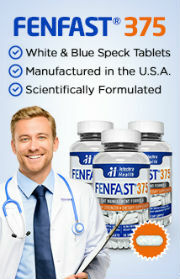 The official site claims to have the results a double blind scientific trial. That said, it does not link to the study, identify who conducted it, provide adequate detail of the way the study was conducted – or even how many participants were involved and who they were – and there aren’t any links to any reputable peer reviewed industry journals where the study results were published. Instead, the outcomes to this mystery study are presented without anything to support them. For all the reader knows, there were only a handful of participants and they were all employees, friends or family members of the company’s owners. This is not to say that these are the individuals who took part in the study, only that there is no way for a consumer to know whether or not it is the case.